Single values from this set are available priced separately in the table here. This set was created when the post office decided to "remainder" excess quantities of previously issued, higher value stamps, and, at the same time, satisfy the need for 20ch letter rate stamps. 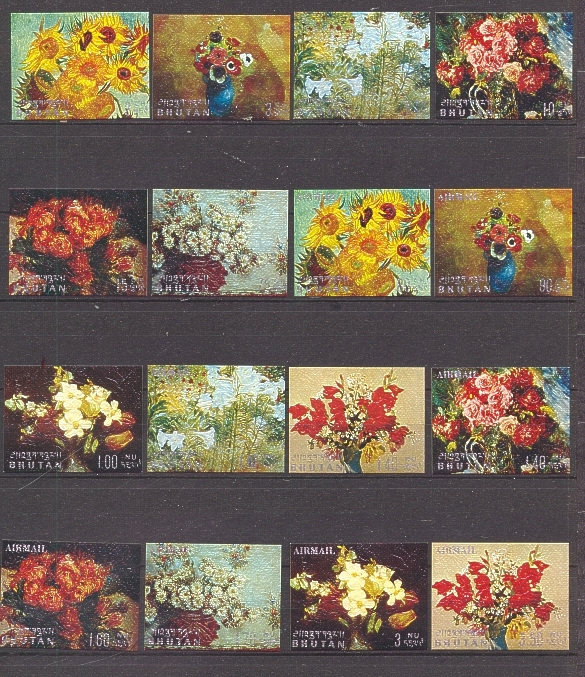 The Bhutan Stamp Agency in the Bahamas had not prepared many sets that contained 20ch values. Those that had 20ch values in them were supplied to the government in small quantities. 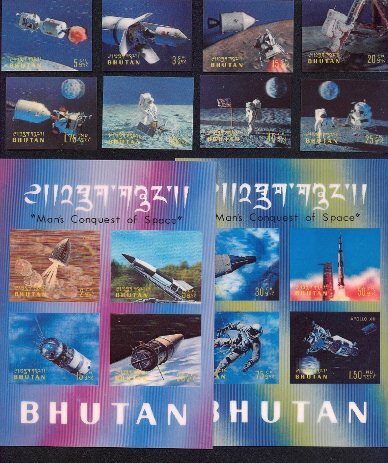 These stamps were not intended for marketing to collectors. They were not announced in advance - simply placed on sale as they came available. FDCs with full sets affixed are fake. Single values from this set are available priced separately in the table here.. 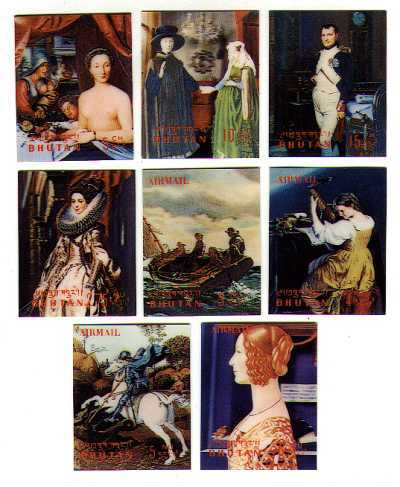 This set was created when the post office decided to "remainder" excess quantities of previously issued, higher value stamps, and, at the same time, satisfy the need for 20ch letter rate and 5ch "filler" denomination stamps. 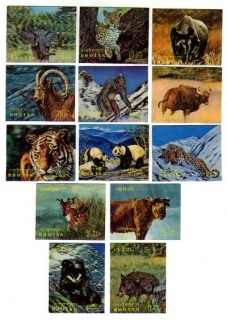 The Bhutan Stamp Agency in the Bahamas had not prepared many sets that contained 20ch or 5ch values. Those that had these values in them were supplied to the government in small quantities. This set was officially issued in imperforate format.  Airmails and some single values are available separately. Please inquire. No souvenir sheets accompanied this 3D issue. Airmail values are available as a separate set. Price on request.